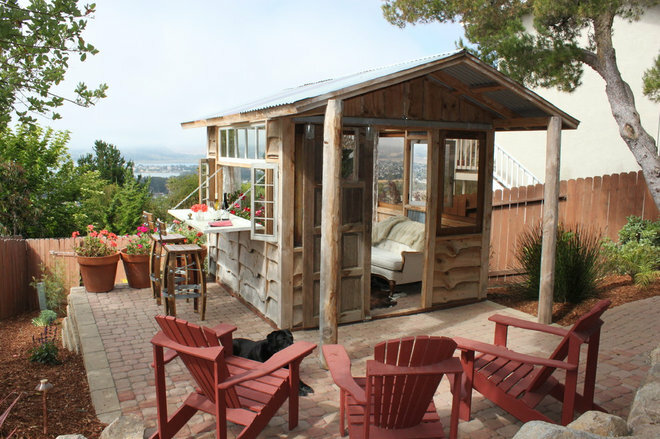 The tiny structure sits at the back of Henson and Riolo’s property on a hill and serves as a “we shed” shared by Henson — who uses it to relax, study and sometimes enjoy a glass of wine with Riolo — and Riolo’s daughter, a schoolteacher, who takes advantage of the quiet space to grade papers. For the backyard sheds and other structures they create, O’Brien and her husband use vintage windows and doors and “urban forested” lumber — wood they mill themselves from downed trees that have succumbed to storms, disease and other maladies. For this shed’s front entrance, O’Brien used a wood door she found in a field, replacing one of the panels that had been a pet door with a pane of glass. 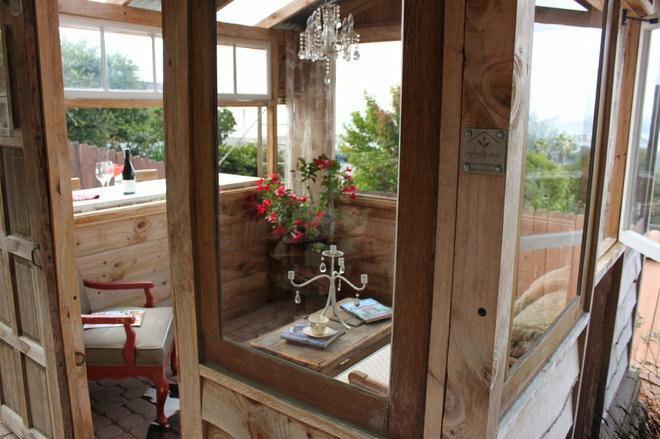 The back wall features a picture window that is a repurposed sliding glass door. The roof is corrugated metal with clear polycarbonate roof panels that act as skylights. 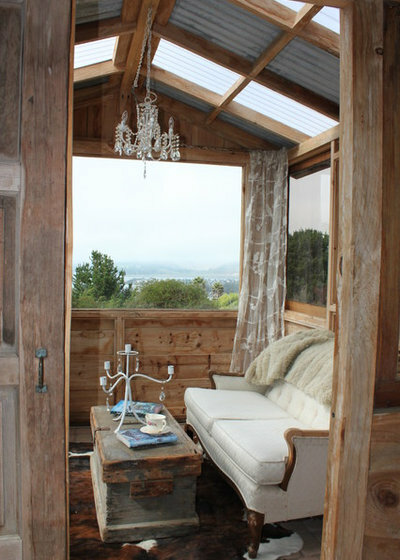 The interior is furnished with a small vintage sofa, a brindle cowhide rug and a vintage chandelier from Three Speckled Hens, a biannual vintage and antiques show on California’s Central Coast. The curtains are sheers hung on scraps of rebar. O’Brien says she hung them in the corners to soften the structure. There are repurposed windows throughout the shed. 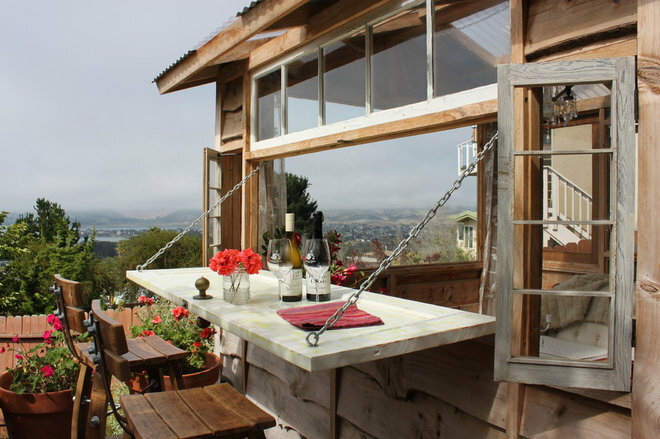 The most fun feature is a drop-down door that becomes an exterior bar. For that, O’Brien used an antique five-paneled solid wood door and hung it horizontally. She kept the doorknob, which is now used to open and close the bar.